R&M Bolton was formed with a simple purpose. Our mission is to provide a comprehensive and economical structural steel-work design and detail service to the structural engineering industry. In order to maintain and improve the services we offer our clients, we have computer design facilities and are one of the market leaders in the smaller companies offering this service. The offices are fully equipped with all necessary facilities to provide a full and efficient service to our clients. Our expertise has been further developed, at the request of our clients, into project engineering and management. All our employees are staff members who all have considerable experience in our industry providing our clients with a good communications relationship. We carry full Professional Indemnity, Employers Liability and Public Indemnity Insurances and due to the company’s commitment to quality, we have implemented systems and procedures that comply with BS EN ISO 9001 : 2000. We are continuing to update our computer design facilities using Trimble Tekla Structures 3D and Creo Elements 2D draughting facilities in order that we can respond quickly and economically, and provide the cost effective solutions to all our clients structural problems. Our drawing office is capable of handling any size of structural detailing contract from small platforms, handrailing, etc., through to 1000 ton contracts. 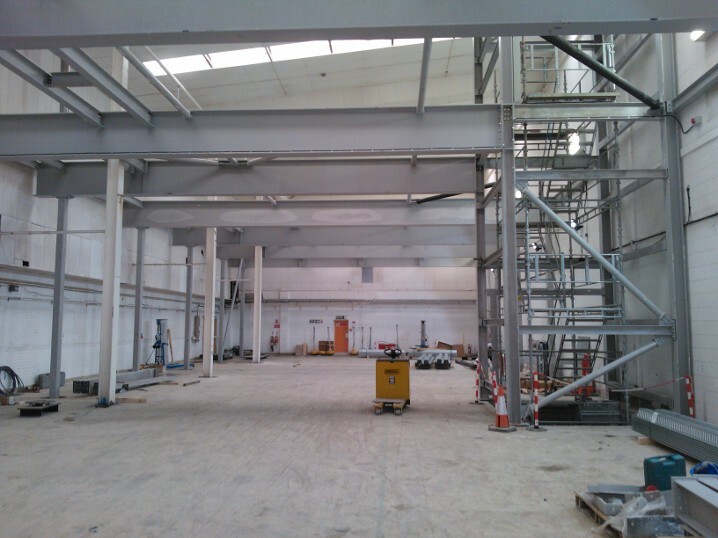 We are able to provide a full structural steelwork drawing office service to the larger structural engineering companies and a full design, detailing and administration service to numerous smaller structural engineers. Our design department, is equipped with computerised design facilities running Trimble Fastrack Building Designer, Solve Professional, Fastrack Components, Fastrack Connections, Fastrack Portal Frame, Structural Designer & Tedds programmes capable of producing fast, economical and accurate calculations for all types of structures to both BS5950 and Eurocodes.